Norah’s new nature shelf. We’ve had trouble with Norah’s nature table. Trouble that starts with a capital “C” and comes in the shape of a 16 month old wild thing. For Christmas, Scott made a shelf to go above Norah’s bed. Out of reach (for now) of Cedar. It has a shelf on top and a string with clothespins for attaching feathers, leaves, butterflies, etc. Norah had so much fun arranging her fall/winter nature treasures. And the dead Hercules beetle that we are apparently keeping forever. The plasma car. There is such joy I never could have imagined in hearing your children play together. Sorry Mom, if I’d known, maybe I wouldn’t have fought with Noelle so much. The plasma car has given me hours of happy sibling play. Thank you, Great-Nanny! Too bad she doesn’t have a computer to read this. 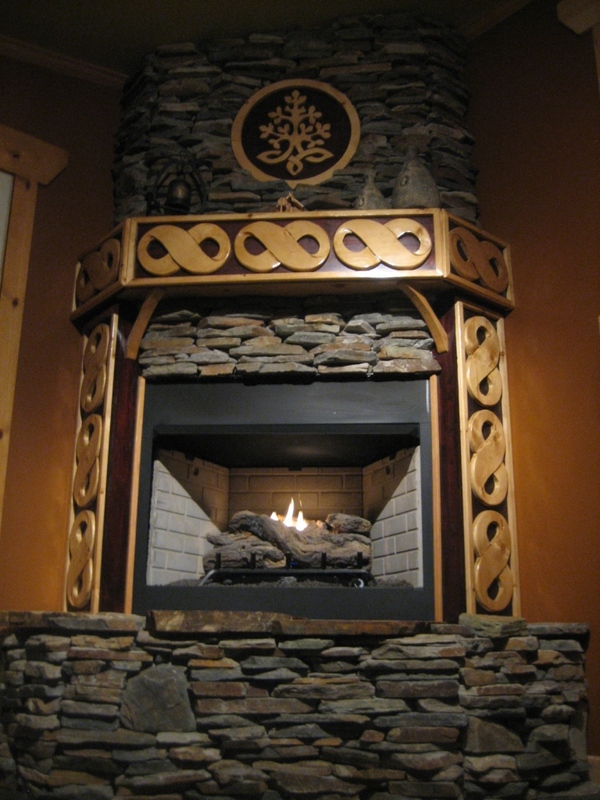 Our completed fireplace. My husband was determined not only to make most of our Christmas gifts this year but also to complete our fireplace. He built this thing of beauty from nothing. It was an empty corner. He built the mantle, installed the logs, carved the designs and centerpiece, cut the rock, stacked the rock, cursed at the rock, swore he’d never mess with rock again. And he finished it Christmas Eve. He is a machine. Or a superhero. Or maybe a robot superhero. I’ll post more on some of the other gifts he made. After we give them all out. There are so many other favorite things I’m enjoying from sweet family and friends. Mostly, I’m savoring time together while my whole family is living geographically in the same place–until March. More on that later, too. Posted in Beauty, Products and Gear. Bookmark the permalink. Loved this post, Julie! 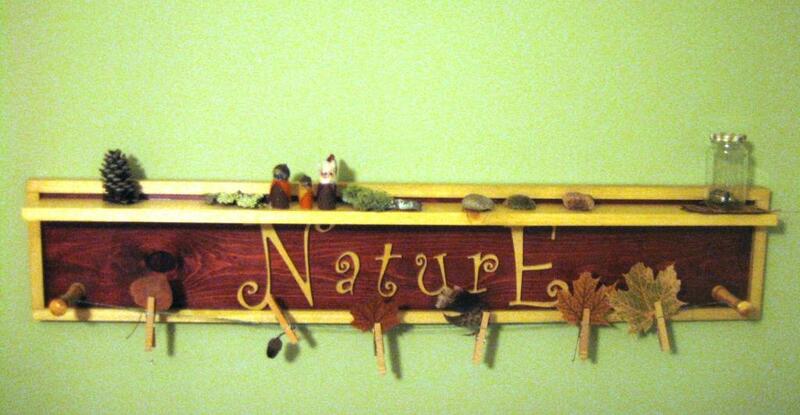 Great idea for the nature shelf! 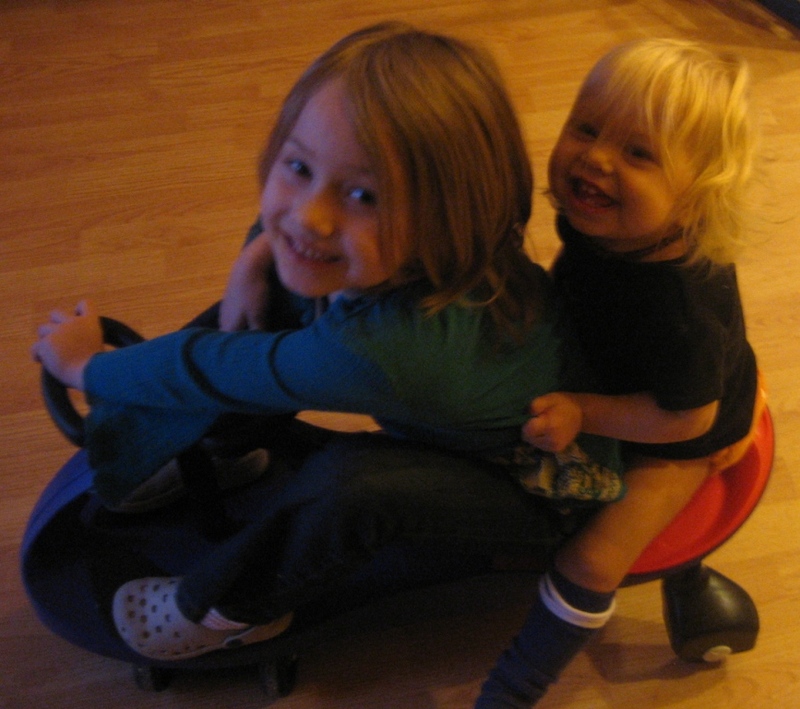 We have a plasma car, also, and love it (even I can ride it!) 😉 Your mantle is beautiful and looks like a work of art. Hope you all had a very Merry Christmas together! My grandmother gave Aiden the Jesus Storybook Bible last year. We love it. The pictures are simple, but gorgeous and the stories aren’t watered down for children. They use a lot of imagery that really brings the readers into the story. My favorite is how they tell the story of The Sermon On The Mount. It’s a book to cherish! Your husband is a fantastic artist. The fireplace is stunning and I love the nature shelf. I think Liam would enjoy something like that. And I love hearing my kids play together. I didn’t think it would happen so soon, but they make each other laugh. Jordan and I are both impressed with the fireplace–it’s beautiful! You must have the most awesome house. I wish we had space for a plasma car. a) we do not have an awesome house. but we have some sweet wood trims and details thanks to the robot superhero. b) we do not have space for the plasma car. we do not have space for two children. we trip over things and grumble at each other. We bought the Bible you referenced for Elijah last year. He LOVES it. The fireplace is absolutely wonderful. As for the car, will it go on carpet?? I have no idea about carpet. We don’t have any to try it on. Hmmmm. Ellen? 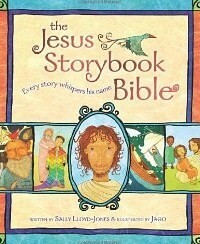 love, LOVE the Jesus Story Book. we got it for our niece & nephew and i also gave a copy to victoria’s babe.